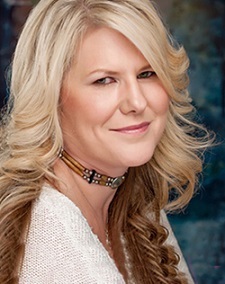 Stella’s the lead singer and lead guitarist of The Blue Moon Gypsies and Stella used to be Mace’s girl. Mace broke up with her, though, and the loss of him rocked her world. But Stella gets a call, late at night (again) from one of the members of her crazy band. She has to go play clean up (again) and runs into Mace and a shed load of police, and ends up getting shot. Mace finds he doesn’t like it much that his ex-girlfriend got shot right in front of him but it’s worse. 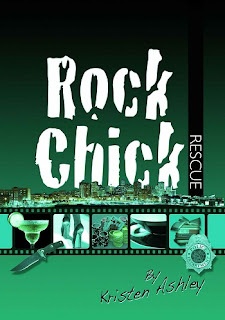 A very bad man has thrown down the gauntlet and all the Rock Chicks are in the firing line. Stella doesn’t want Mace to be the one to keep her alive, but she has no choice. Mainly because Mace isn’t giving her one. This is the sixth in the series – and really these need reading in order as there is an ever developing plot and previous relationships are ongoing. In other words, there is even more richness than in a simple romance. All these stories combine some crazy with some sweet, and a serious dollop of sadness. For me, this may have been the most deeply sad so far, and was very grateful for the epilogue. From the dramatic start, the Rock Chicks are in danger, and talented singer Stella is drawn into their group by virtue of her now ended relationship with Mace. Even a year after it ended, she is heartbroken and is not happy about the turn of events. Obviously, the girls rally round, and include her, and all the gang wait expectantly for things to resolve. It is a long slow road, but we do get a wonderful love story as well as the mad capers. We also get some chapters told by other characters, which is a great way of seeing the story from a different view point, and catching up on their news. I loved this story; even through its difficult moments I trusted Ms. Ashley would make it work, and she did. Much less caper, and much more emotion – it was a very thoughtful book. 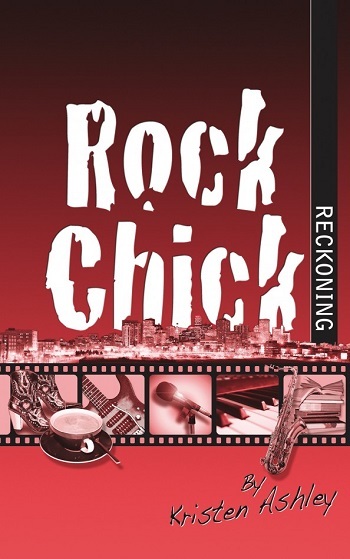 Rock Chick Reckoning is THE rock and roll romance of the Rock Chick series, literally. Not only do Stella and the Blue Moon Gypsies hit it big, but the girl gets her man. 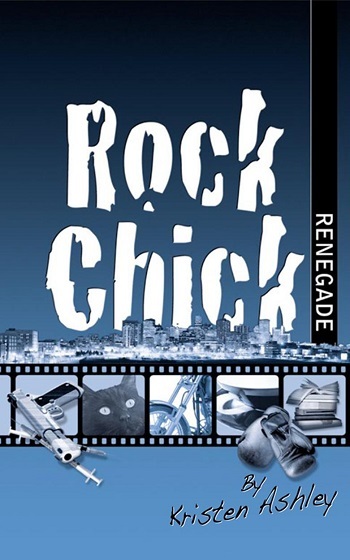 Oh yeah, that spark we saw rekindled in Rock Chick Revenge grows into a full blaze when the Rock Chicks are targeted by an enemy of Nightingale Investigations and Stella gets caught in the crossfire, literally. 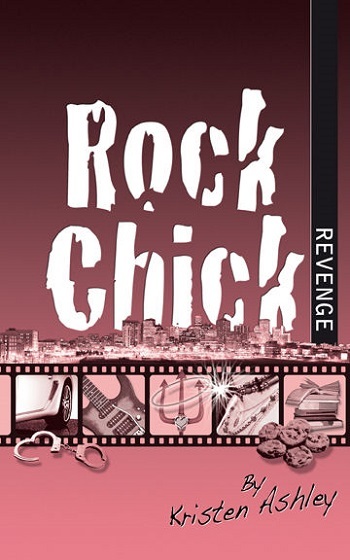 What makes Rock Chick Reckoning so much fun to read is that series fans FINALLY get to find out about Mace’s demons – demons that have been hinted at in book after book. Each of the Hot Guys have issues, oftentimes with them playing a part into the path the ultimately leads them to Nightingale Investigations. Yet despite the scraps of information we’ve gleaned about Mace’s past in the previous books, they didn’t come close to preparing me for the whole story. While Stella’s past isn’t as bad as Mace’s, it sure ain’t rainbows and kittens. And perhaps this is why they ultimately work, they serve as a balm for another’s soul. Much like the previous novels in the series, bullets flying and near death experiences don’t deter Mace from claiming his woman. However, his estranged father seems determined to interfere in their relationship, and as Mace blames his father for his little sister’s death, Mace could care less about his father’s meddling – except when it begins to affect Mace’s friends and colleagues, but most importantly, his second chance with Stella. But Mace’s father isn’t the only issue they’re dealing with because he’s not the person behind the “bullets flying” and if the Hot Guys can’t shut Carter down soon, someone could end up dead. I’m going to let you in on a little secret: I’m a lot like Jane, specifically during the Epilogue when she’s picking her favorite couple. Unlike Jane, my favorite couple is Vance and Jules. But when it comes to my next favorite, it’s usually Jet and Eddie (they were my first Rock Chick couple), leaving the third position up for grabs, and it changes all the time. So I totally get Jane and where’s she’s coming from, and it’s why I can say that while Stella and Mace aren’t normally my favorite couple, they are today. Juno is an excellent best friend/confidante for Stella and makes for a nice break from having new Rock Chicks introduced to the group. Then again, with her motley crew of bandmates who refuse to grow up, it’s a good thing Stella was already friendly with the Rock Chicks because she certainly didn’t have time to hang out with her girls otherwise. I must say that the final showdown scene is quite possibly the best action scene in the series. Even having read the book multiple times and knowing how it plays out, it never fails to get the blood pumping and my tear ducts working. Mace and Stella’s courtship is a rock and roll rollercoaster and I cannot imagine it playing out any other way. 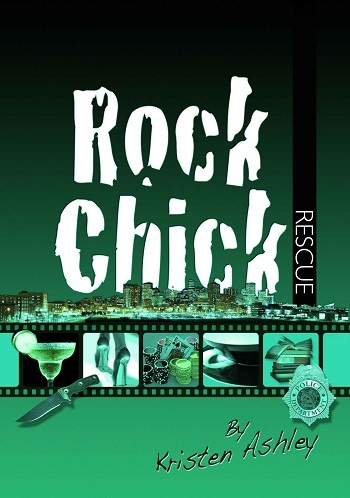 I’m off to read Rock Chick Regret because I think that tomorrow, Hector and Sadie will be my favorites. 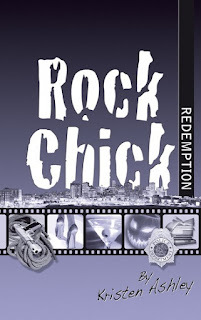 For reviews & more info, check out our Rock Chick Redemption post. 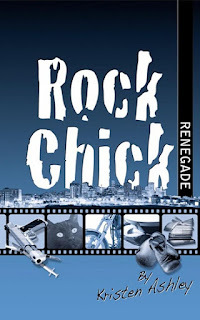 For reviews & more info, check out our Rock Chick Renegade post. 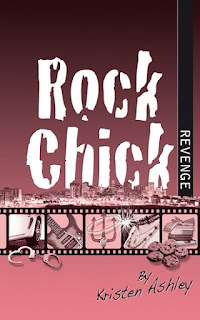 For reviews & more info, check out our Rock Chick Revenge post. 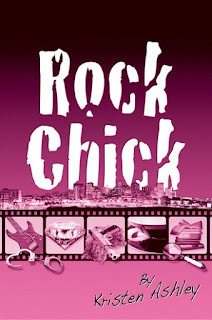 Reviewers on the Wicked Reads Review Team reviewed their personal copy of Rock Chick Reckoning (Rock Chick #6) by Kristen Ashley for this post.